Entry Level Single Family Homes up to $250,000: 16 home sold in September with an average price per square foot of $175. Mid Level Single Family Homes between $250,001 & $450,000: 67 homes sold in September with an average price per square foot of $171. Single Family Homes above $450,001: 22 homes sold in September with an average price per square foot of $177. Those square foot prices are the highest they have been since 2008. It is time to buy while the buying is still good. Part of the increase is due to the fact that there are less distressed homes on the market. If you have been thinking of selling, this is the time. 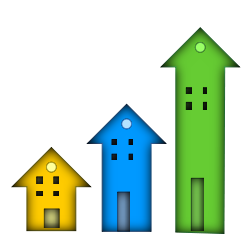 Click here to my facebook page for Etiwanda specific market numbers.